Spring Cleaning around the house started in February when we got back from our cruise. Right about that time, I realized that if I didn’t get the house done, I might not get it done. That was about the same time that I realized with now having the Love Shack as a liveable place, it also meant I was going to, for the first time ever, have to make it a liveable place. In other words, Spring Cleaning times two. But and here’s the Big But… Spring Cleaning at the cottage is not the same as Spring Cleaning at the house. The first reason for this is… You don’t close up your main house for months and so there is not much of a risk of anyone else moving in why you are away. The cottage is at high risk of getting squatters. When you think of squatters, you are thinking about those people who show up with tents and move on to your property. At the cottage, they don’t bring tents, you provided the shelter. They also don’t bring too many friends, they usually make their own families and use your stuff to make themselves very comfortable. The squatters I’m talking about are called raccoons, mice, and spiders. 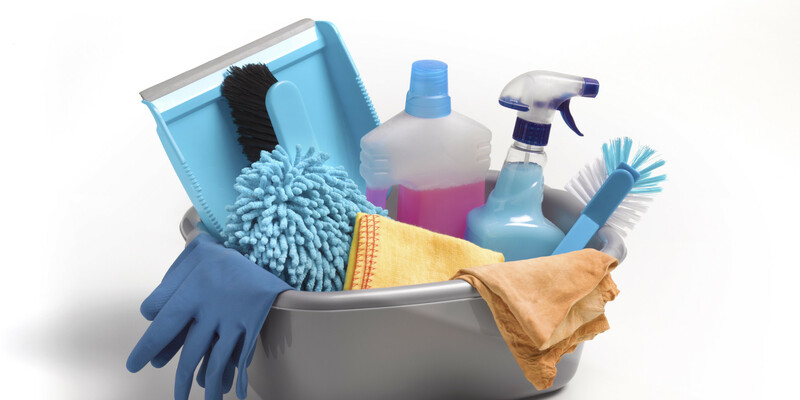 The second reasons that Spring Cleaning is different at the cottage then the house is not only did you close up the cottage for a few months but, you also brought in everything you would not be using over the Winter and stored it in the cottage. Spring cleaning is a two in one job. While you are cleaning, you are actually doing an internal inspection of the cottage. You will be up close and personal with all the rooms and areas of the cottage. While you are cleaning, you should look for signs of water damage which can show as wet spots but might also appear as mold or mildew. Common places to find these are in corners, on carpet and drapes, window sills and the bathroom room, laundry room and the basement. Be sure to also look at the ceilings, not just in the corner, but where you light fixture hangs. Don’t forget to look for the squatters. They will leave signs they have been there with, poop droppings, chewed up fabric and nesting. You might also find them running away as you approach. Then, of course, there are the empty spider webs. You have your mop, bucket, list of different cleaner for each job. You have gloves, paper towels, rags, garbage bags and recycling bags. The shop vac, some beer and wine ( just in case) and your radio. Since Spring weather doesn’t seem to want to come early this year, turn on the heat, open the doors and let the cool air out and exchange the air. Turn on the radio and head into the kitchen. The kitchen always seems to be the biggest job and I suggest starting there first. When you did the inspection visit, you turned on the frig. Now give all the shelves and doors a good wipe down and replace the baking soda. While it is still empty, move it out enough to sweep behind it. This gets rid of any dust that might have built up over the Winter, but also gives you a chance to make sure that no squatters have moved in while we were gone. The stove and cabinets get the same treatment. The cupboards also need to be wiped out and checked for the same reason. For reason un-be-known to me, it seems that if I’m going to find mice dropping, it always seems to be in the silverware drawer. For this reason, I suggest washing all the kitchen drawers and all the silverware. I also suggest checking under the table and chair frames for spiders. They like to build nests under there. Their other favorite place is in window frames. Use the shop vac to do all the floors, cupboards and window frames. It saves time and you can reach high places with the extension hose. The windows need to be cleaned and the light fixtures dusted and you have a clean kitchen. Leave the floor mopping to the last thing on your Spring cleaning list. There is a reason that I suggested doing the kitchen first. The first one is that you will need to get water and cleaners out of the kitchen to do the cleaning. The other reason is this is also when to restock the cottage with bottled water, pop, coffee and tea, beer and wine. You also have clean cupboards, so you can restock a lot of your spices, and boxed and can goods. Next, head to the bedrooms. Our beds have bed bug covers on the mattress and frames. I’m not concerned about getting bedbugs. I have another reason for this. If bed bugs cannot climb through the covers, neither can spiders or sand fleas or any other type of bug that may decide that your mattress looks like a nice comfy place to live. This is not an expensive investment, but a good one. In the Fall I don’t remove the comforters off the beds. The reason I leave them is dust. In the Spring, I load them all up and take them home. They get washed and brought back. It’s much easier to wash the comforters than it is to vacuum the beds. If you don’t have covers on your mattress and have removed your comforters, you will need to vacuum your beds. The drawers will need a good wipe out. The windows need to be cleaned and the vacuum gets ran after the dusting is done. Don’t forget to run the vacuum under the beds and in the window sills. The bathroom is the smallest room and gets done the fastest but has more scrubbing than any other room in the house. Dust seems to like the bathtub and so do the spiders. I start this project with the shop vac. Vacuum the tub, under the sink and behind the toilet. I am sure you will find a few webs with occupants living in them. 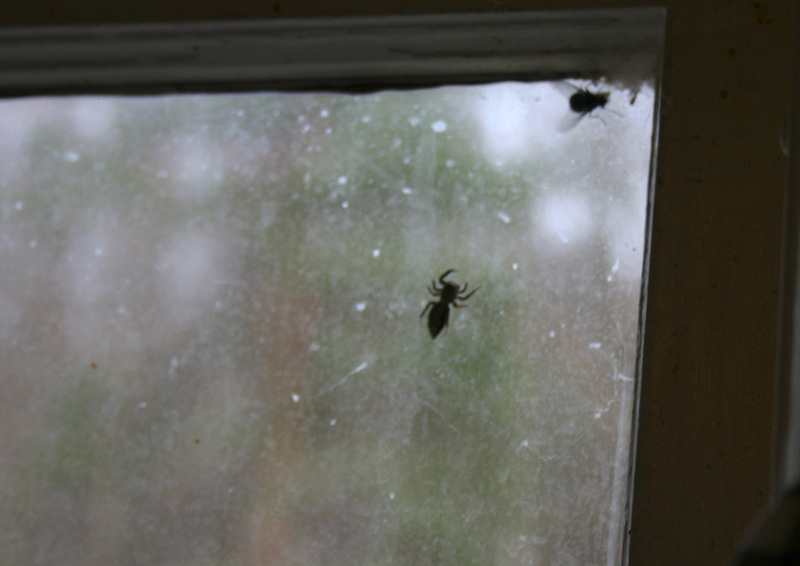 Your window sill will probably also have a few of their relatives living in them. As I understand the reason, spiders like the bathroom because it is cool, darker than most rooms and has water access. Once the squatters have been removed, this room will need the rubber gloves and the cleaners. The toilet, sink, and shower or tub will need a good cleaning. The bathroom mirror and the light, along with the windows will also need a wiping down. Sweep the floor and you are ready to mop the whole house. Spring Cleaning is completed. Now all you have to do is restock every room and make the beds and it will be time to get back to work. See you all that the Love Shack. That’s funny I saw one today in the basement when I was cleaning there. I hate those things.